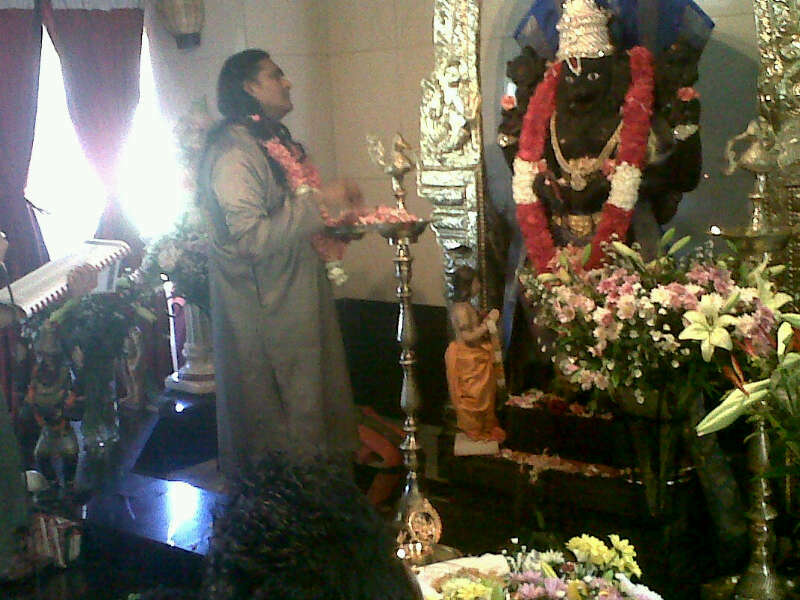 As you maybe know, Swamiji is in South Africa at the moment, where He gave a Satsang and Darshan. It is said that the very body of a Sat Guru is the image of every way to freedom and that all things pertaining to life here can be obtained first by knowing what is wished for, and then leaving at the feet of the Master or just surrendering, either way works. So I thought of this in relation to the physical body of Guruji and the threefold path of Sanathan Dharma Kama Aatha and Moksha. 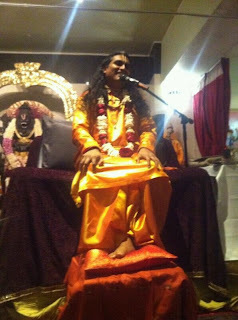 The face of the Guru is the solidification of all the levels of enlightenment, realisation and God-realisation. His entire form is the language of walking with God! So this is what I wanted to share with all of you - I hope it can be of some use! Jai Gurudev"
Why is Lord Hanuman’s body covered in Sindoor?